1. Core Management Team consists of 2 Founder Members, the Programme Director and the team is led by the Executive Director. 2. 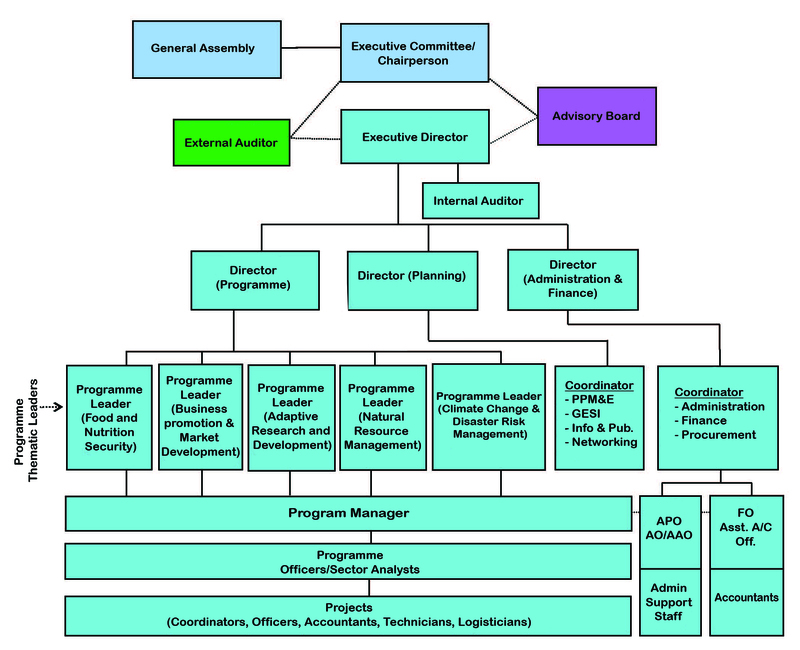 Programme Management Team consists of Thematic Leaders, Subject Matter Specialists, the Executive Director, the Admin and Finance Coordinator and the team is led by the Programme Director. 3. The Focal person for specific themes can be anyone having a designation above Programme Officer as decided by PMT in consultation with respective Theme Leaders. 4. The Fund raising committee consists of 3-5 members nominated by the board in consultation with the Executive Director.